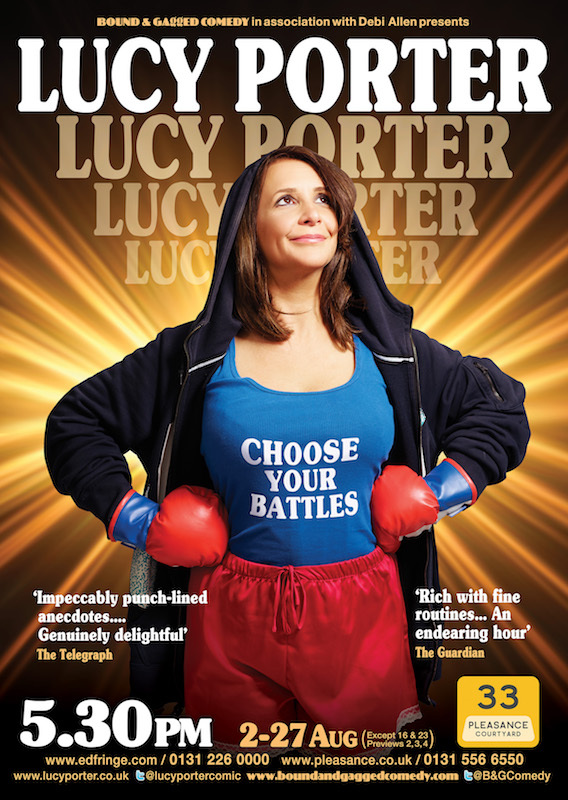 Lucy’s new show, “Choose Your Battles” will run at the 2017 Edinburgh Fringe. Back at the Pleasance, the show’s on at 5.30pm between the 2nd & 27th August (not 16th). “A brand-new, brilliant hour of stand-up from this perennial Fringe favourite. In these combative times, it’s easy to be irritated, offended or downright enraged by other people. How do we know which causes are worth fighting for? Lucy uses her hilarious experiences to help you decide.